Why would anyone take a perfectly good cruise ship and cut it in half? To make it even better, that's why. 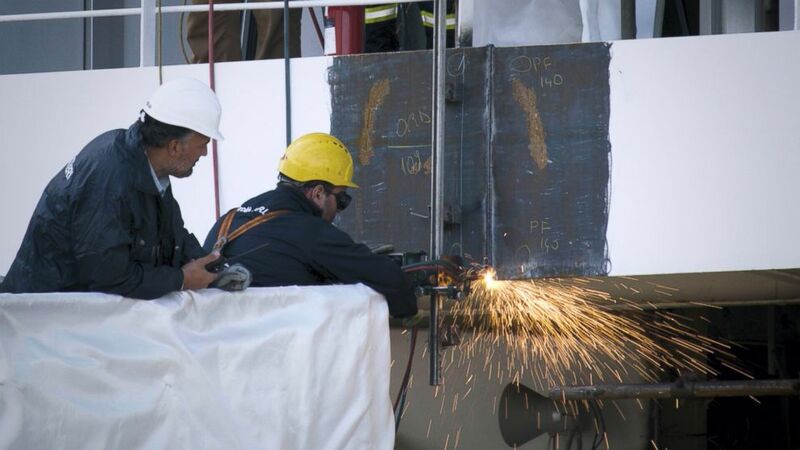 The Silver Spirit, part of Silversea Cruises, was lengthened by cutting it in half and adding another section. 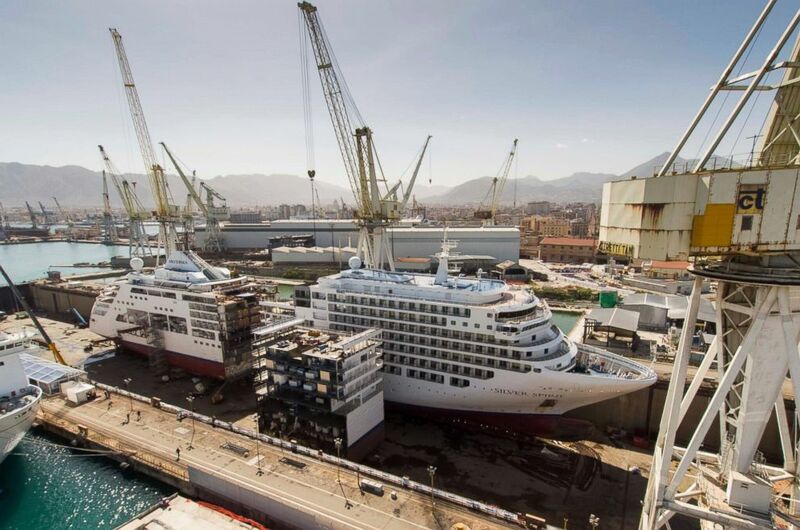 Silversea Cruises shared with "Good Morning America" video of the dry-docked Silver Spirit being taken apart at the midsection to add a prebuilt 49-foot segment to the ship. When work is completed in early May, the ship will be 691.3 feet long. The Silver Spirit ship being cut in half. The company called the lengthening of cruise ships a "trend" in small ship luxury cruising. The multi-million dollar project to refresh the Silver Spirit is less expensive than building an entirely new ship. On May 6, the refurbished Silver Spirit will recommence service with a 7-day cruise between Civitavecchia, Italy, and Barcelona.